Beautiful single-story home located in the neighborhood of Victoria Ranch. 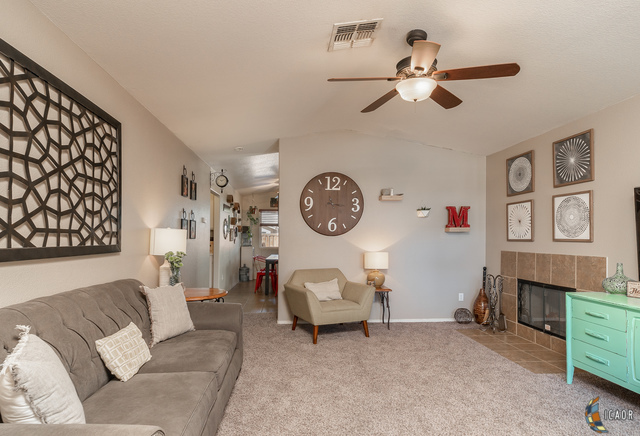 This home has brand-new carpeting throughout. It features a three-bedroom, two full bathroom floor plan with a large family room, and a large combination kitchen/dining room. It also has vaulted ceilings, a gas fireplace, and a ceiling fan in each room. In the Back yard you have a large covered patio, complete with overhead lighting, and a ceiling fan making it a great space for entertaining. One of the most unique features of this home is its proximity to Victoria Park, giving you direct access. This home is priced to sell, contact your realtor today to schedule a private showing!